The experimental medicine mini expansion pack offers a new style of upgrade tiles and specialists. While retaining the euro-style control of the base game dice manipulation, the expansion offers an alternative way to manipulate tiles. 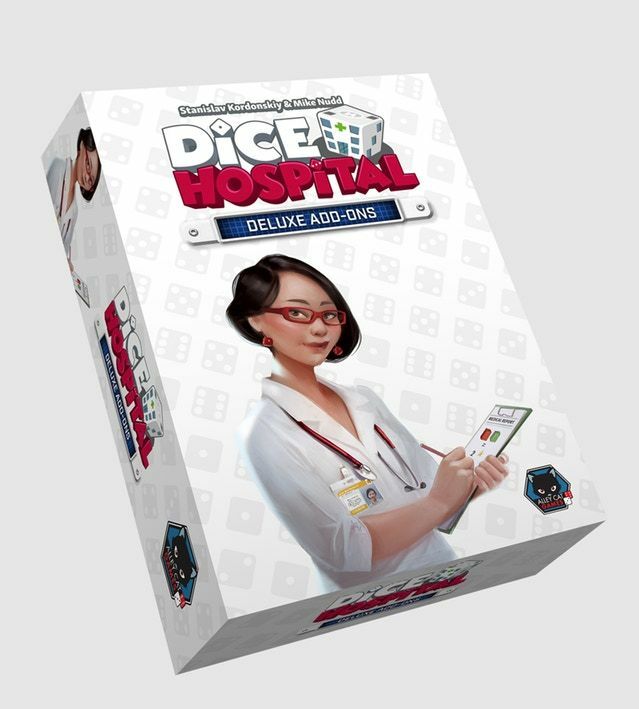 Essentially the tiles and specialists upgrades may change the value of the dice by going down a step (clinical trials), re-rolling dice (experimental drugs), and swapping values (transplants). This gives a much more versatile feel to the game and actually introduces really interesting levels of strategy that even we find to be novel each time we play it when combo'd with tiles/specialists from the base game!